At the beginning of the nineteenth century during the golden age of Japanese colored woodblock printing, an ordinary print filled the same purpose as commercial graphic art does today. Partially because of European art lovers’ growing enthusiasm for these subtle, refined compositions, many artists who specialized in these prints and their work gained recognition and fame that spanned multiple continents. The worldwide fascination with ukiyo-e, or “images of the floating world” continues through to the present day, and its formal restraint and graphic elegance never fail to inspire desires and artists. Key to this artistic genre is the ability to capture strikingly beautiful and ephemeral moments, and bijin-ga, or “images of beautiful women” are a specific subcategory of this medium, paying tribute to women by depicting a moment of irretrievable magic. The Beauty of the Moment presents over one hundred images of women by the best known masters of Japanese woodblock printing, showing the graceful, self-assured beauty of women in public to intimate portraits of domesticity. Particularly exquisite are several images using kirazuri, a technique employing powdered brass or mica dust on a light film of glue to imitate gold dust on the surface of each print. Many of the works in this volume are part of the famous collection of novelist James A. Michener, and are held today by the Honolulu Museum of Art. 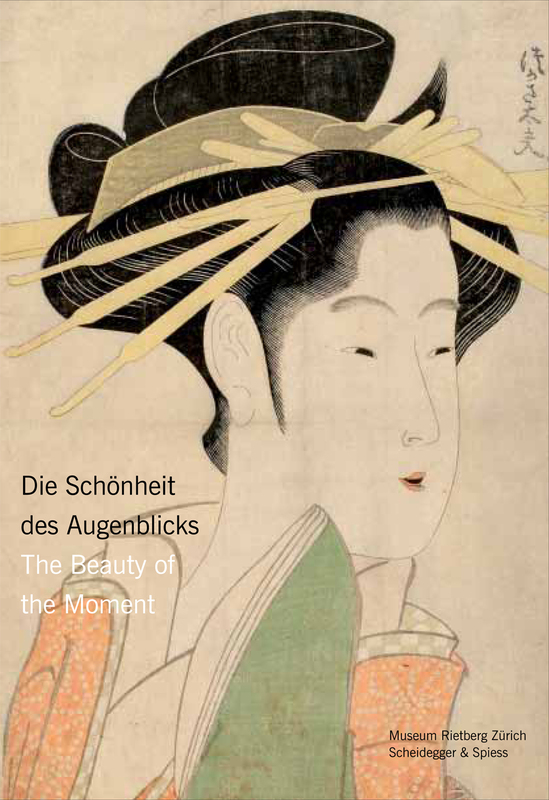 A stunning and generously illustrated volume, The Beauty of the Moment is published in conjunction with an exhibit at the Museum Rietberg in Zürich, and contains essays by some of the foremost scholars of Japanese art, including Shawn Eichman, Katharina Epprecht, Andrew Marks, and John Szostak.